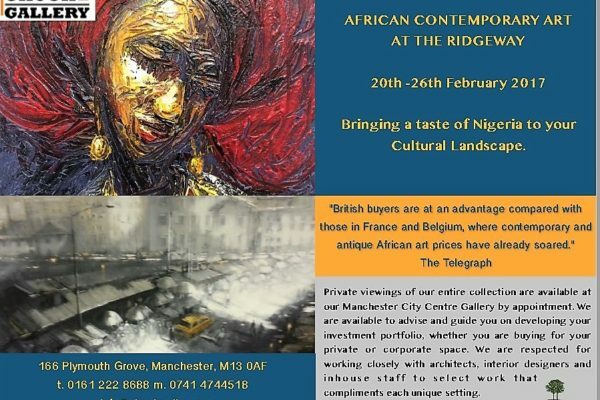 Chuck Gallery is an art space in Manchester dedicated to the promotion of modern and contemporary African art. Our collection is an eclectic mix of paintings. Our collection is an eclectic mix..
"Bringing a taste of Africa to your Cultural Landscape, with an exclusive selection from the best African artists in our collection."